Our farms are located in 3 separate valleys in the high-altitude-sierra of Ecuador with distinct microclimates to grow vibrant ﬂowers in nutrient-rich volcanic soil with clean water and 12 hours of sunlight year round. We grow 221 varieties of 19 cut ﬂowers. Our tissue culture lab reproduces pristine plants free of viruses and bacteria while our nursery propagates new plants. Our state of the art post harvests can process hundreds of thousands of stems each day. Our e-commerce platform shows future production and links with our wholesale clients’ web-shops for seamless integration. A new day begins at a Royal Flowers Farm Standing at the break of dawn, the chilly crisp air awakens every sense in your body. The scent of nature is clean and pure. With each breath of invigorating and relaxing fresh air, your soul connects with the countryside. Birds dance around the sky chirping a cheerful good morning. The cool mist refreshes your mind while the morning dew glistens all around. Peaking over the mountains, the sun breaks the sky with an orange glow slowly illuminating the fields. We understand the importance of having our inventory available for you at the closest point to your market. We have strategically placed inventory for sale in the 3 most important geographical locations of our global ﬂoral industry: Quito, Miami and Holland. 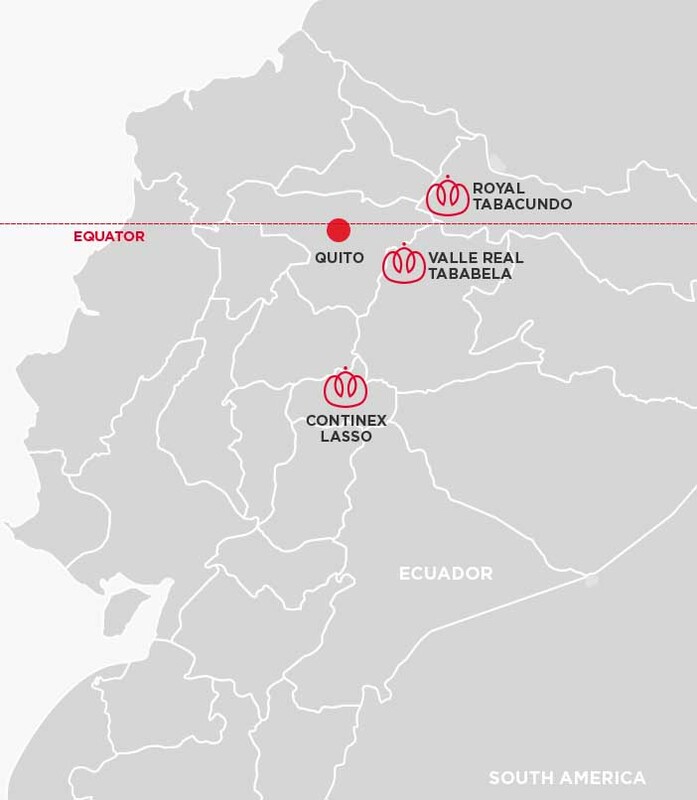 Inventory in Quito is available for shipping 7 days a week and delivered to the Mariscal Sucre International Airport to service wholesale clients all over the world. Flowers are available FOB Quito with the client arranging their logistics or we can deliver in Miami or Holland, hassle free. Miami is the gateway to the ﬂoral industry in the US and Canada. Our distribution ofﬁce in Miami, Florida offers instant access through a large network of transportation so we have the ability to keep the cold chain and consolidate product from other ﬂower farming areas of the world. Our clients enjoy the beneﬁt of buying our products and having them delivered to their shipper on the same day — a convenient step closer to their ﬁnal destination. Our distribution center is located in the Rijnsburg Auction building giving us important connectivity, speed and convenience. We can provide next-day delivery from our inventory. We offer a wide range of buying and delivery options including ﬂowers in boxes or wet packed into buckets as well as consolidation with ﬂowers from other growers. We also offer our clients farm-direct delivery from Quito. We have sales teams in Quito, Miami and Holland to better serve our wholesale clients in a convenient time zone so we can meet their requirements. 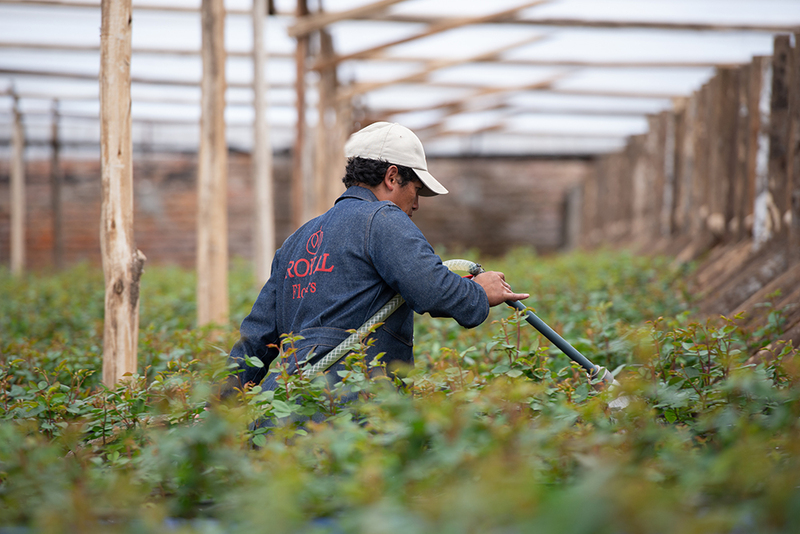 Our flowers are Rainforest Alliance Certified, which ensures that Royal Flowers farms are managed according to rigorous environmental, social and economic standards. Flor Ecuador ensures compliance with Ecuadorian legislation on social and environmental issues to promote sustainable farming. MPS monitors each farm’s use of chemicals, as well as water and energy consumption. We've been awarded Royal Flowers with an A+ rating – its highest distinction. The Business Alliance for Secure Commerce enforces a series of operational measures to ensure protection an organization’s assets, property, employees and customers. We complement what is grown on our farms with carefully selected flowers from Colombia, Costa Rica, Peru, Thailand, Africa and Holland.